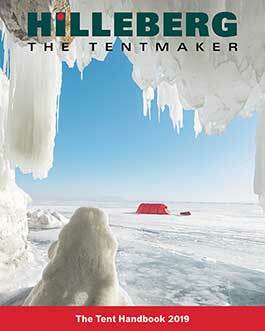 Hilleberg tents generally have larger than average vestibules. They are designed to accommodate at least the amount of gear for the number of people for which it is intended. GT - models have an extended vestibule. Keron 4 GT's even have vestibules big enough to park two bicycles. When using the tent on longer trips in the winter or when extra gear is required, we usually recommend going up one size in the tent or opting for a GT model for extra room and comfort.